Datsusara is a gear company based out of California that specializing in making products out of hemp. They offer kimonos, gi belts, gear bags and clothing all made from 100% hemp. 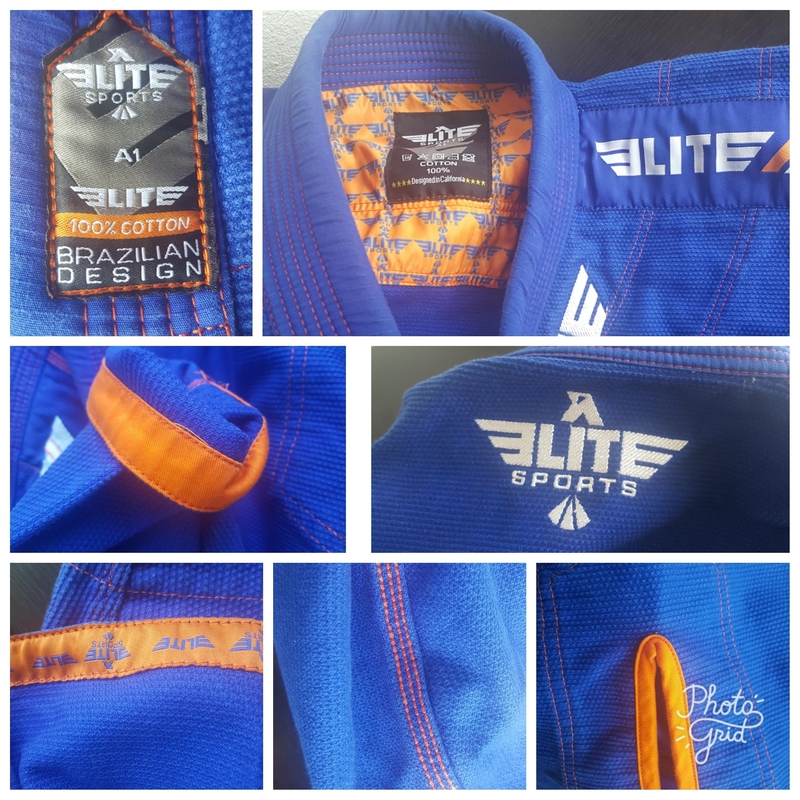 I was fortunate to be able to review their Hemp Combat Gi (HCG-03). There battlepack backpacks have gotten rave reviews from other bloggers such as Brendan at Gi Reviews.net and Seymour “Meerkatsu” Yang (including some awesome pictures of his kids inside the bag). Datsusara is a Japanese phrase meaning “to leave the salaried/corporate worker’s life”. Chris K. Odell founded Datsusara in 2007 because, as an avid sports participant (in Mixed Martial Arts), he couldn’t find gear that met his needs. 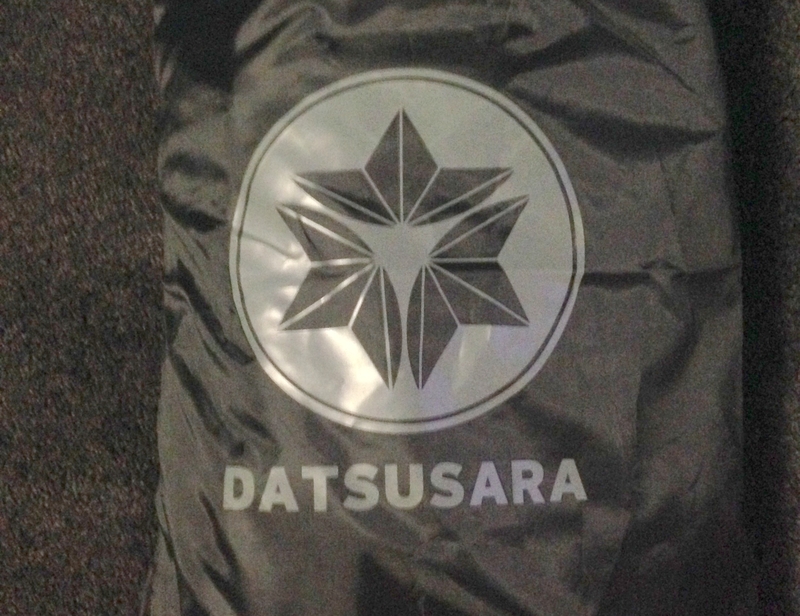 Datsusara has a singular goal, to make truly functional, high quality gear. The Datsusara lifestyle means spending more of your time doing the things you love to do, and Datsusara is here to supply the gear. Right out of the bag I could tell that this gi was something unique. This is the first unbleached gi that I’ve ever owned and also the first that is not made out of traditional materials (cotton). The impression that I got when picking it up and examining the gi was that of a heavy linen shirt and pants; the pants especially look and feel like linen. The weave of the kimono and pant both highlight the natural fiber characteristics of hemp. The gi is constructed of 100% hemp and is cut to fit like a traditional Brazilian Jiu-Jitsu kimono. The weave is different that most standard weaves used in BJJ gis. I have gis in single, gold, pearl and crystal weave in all cases this weave is just a little different. The best way for me to describe is as a crosshatch-type weave. The collar gi has a UVA foam collar and in the words of one my training partners, “I hate it. It’s too hard to choke you with it.” There is reinforced stitching at the stress points and the interior seams of the cuffs are covered with a strip of fabric for additional comfort and reinforcement. The only adornment on the gi is two patches, one on the left arm and another on the back just below the collar. The patches are identical and are the Japanese Mon (crest) representing hemp. These patches are sewn in thoroughly and are not removable. The top is made of 17oz (580gm) long fiber weave and is very supple and light. The feel and texture is different than any other gi that I currently own. The top is very comfortable and I didn’t notice any significant stretching while rolling. I even had one of our blue belts work spider guard on me to see what would happen. The A3 is cut very similar to most A4s and was a bit baggy on me, which is typical of most non-slim cut gis. For comparison I had a partner who is 6’2″ and 220lb with an athletic build try it on and it fit him very well. There were no loose stitches and all the seams were all reinforced at stress points. The pants are made of 11oz (370gm) long fiber canvas and feel stiffer than the top. As I mentioned earlier these pants look and feel like heavy linen pants. They are very different than the heavy drill cotton that it commonly used in gi pants. The pants use a flat cloth for the drawstring and have only two belt loops. There is a single patch towards the top on the left side and the reinforced knee pad extends down to the bottom of the pants. The pants use triple stitching throughout the stress points and again I didn’t find any loose stitching. While drilling and flow rolling the gi is very comfortable and feels great and is probably one of the most comfortable gis that I’ve worn. The collar is quite stiff and at least one of my training partners commented that it was much harder for him to use it against me during an attempt at a collar choke. The gi is a bit baggy for me but as I mentioned before I’m lanky and almost all gis are. The bagginess wasn’t as excessive as a judo gi and more like an older model (non-competition cut) BJJ gi. During a very tough conditioning session I did notice that after the pants were soaked with sweat they did start to stick a little while playing butterfly guard. I’ve had this problem with almost every pair of pants with the exception of ripstop pants. The pants did feel a bit heavy once they were soaked with sweat as well. Is it really antimicrobial? This is really the main question for me. At this point I’m not able to test with a microscope and petri dishes (but I’m working on it :)) and the simplest way for me to test this was by seeing how much I could use the gi before it started to stink. I wore the gi for 3 consecutive days. Each training session was over an hour long and included rolling. The first and third class included a lot of conditioning and rolling. After the first two classes I hung the gi up outside in the sun to dry and after the third session I draped it over a chair in my kitchen. Before each training session I made sure that the gi was dry to the touch and smelled it. Some of my training partners knew what I was doing and none of us noticed any odor other than the slightly grassy smell that it had out of the package. Does this mean it’s definitively anti-microbial? Not really, but if I tried that with any of my cotton gis I’d be asked to get off the mat because of the stink. Initial results are promising and as I alluded to above I’ll be doing something quite a bit more thorough in the future as a separate article. The HCG-03’s design is very simple (which I like), it’s comfortable, wears well and the cut of the gi is in-line with traditional BJJ gis. The cut and sizing of the A3 is very much in line with what most other gi companies call an A4, so check out the size charts thoroughly or email Chris before buying to make sure that you’re getting the right size. For the lanky Jiu-Jiteiros this gi is going to be baggy off the shelf and may require some shrinking to get it where you want it. For those with a thicker build it should fit you well. What sets it apart is that it is made from an exotic material, in this case hemp. It’s the only 100% hemp gi on the market (the others are hemp/cotton blends). The benefits of hemp as a environmentally friendly resource are all over the internet and beyond the scope of this review but if you’re interested do yourself a favor and check it out. 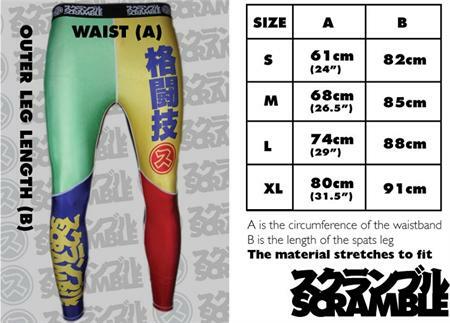 What I can say is that it did resist stretching more than a cotton gi of a similar weight, it seems to be antimicrobial, it is a very comfortable fabric and it breathes well. I know I’ve written this a few times but if you’ve ever worn linen pants or shirts then you have an idea of what this gi will feel like. The gi does come in at $199.95. The two main reasons for this are that it is not made in Pakistan (it’s made in China) and that hemp is more expensive that cotton. The closest comparisons I could find are the bamboo gis from Lucky ($279.99) and the cotton/hemp blend gi from Submission FC ($159.95). If you’d like to check out a few more reviews of the previous iteration of this gi (the HCG-02) please check out Georgette Oden and/or Slideyfoot.